Chances are you've waged (and lost) a few battles against your curls while trying to straighten them. Here's how to avoid any further damage. No hairstyle is more chic and timeless than a sleek, straight 'do. As a woman who's lived with curly, frizzy, wild hair her whole life, I know that achieving a pin-straight look can be the ultimate struggle. Chances are you've waged (and lost) a few battles against your curls while trying to straighten them. Here are the biggest mistakes you're making when straightening your hair, and how to avoid any further damage. 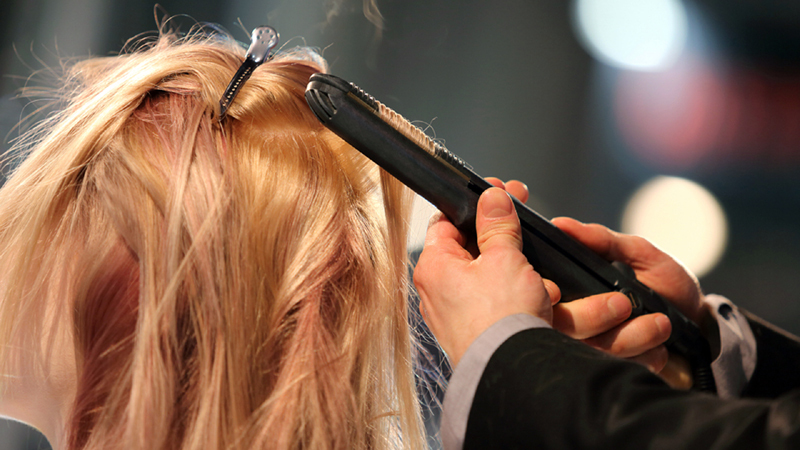 We've all heard the dreaded sizzle of a flat iron over wet hair. 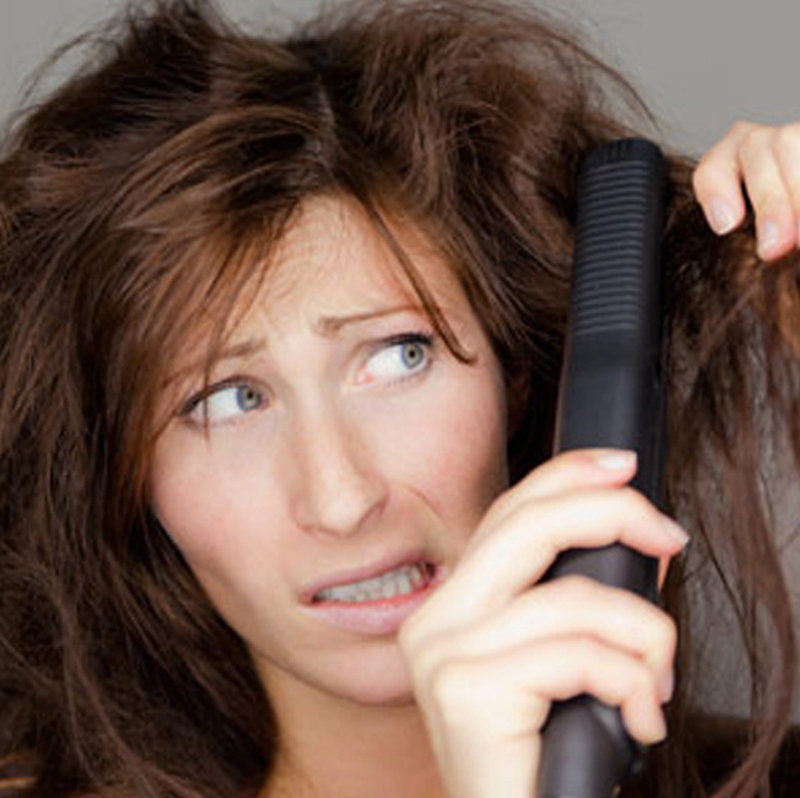 Whether you just missed a spot with the blow dryer or didn't wait long enough for your hair to completely dry, that sound is a sign your hair is not happy. As Matrix lead educator Roch LeMay told Allure, running the iron over damp hair "creates steam and causes bubbles to form within the hair fibre, which cracks along the hair shaft." 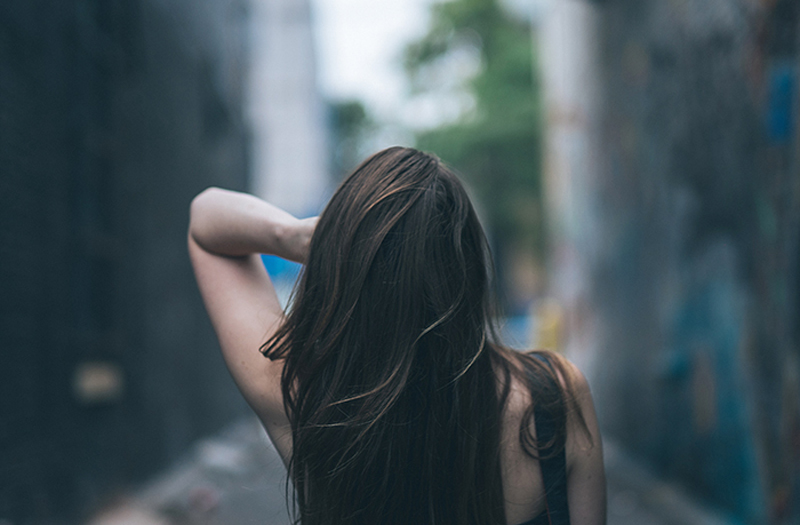 Once the crack reaches the strand's cuticle (which is the outermost part of your hair, and acts as a protectant), you'll start seeing damage in the form of split ends and broken hair. 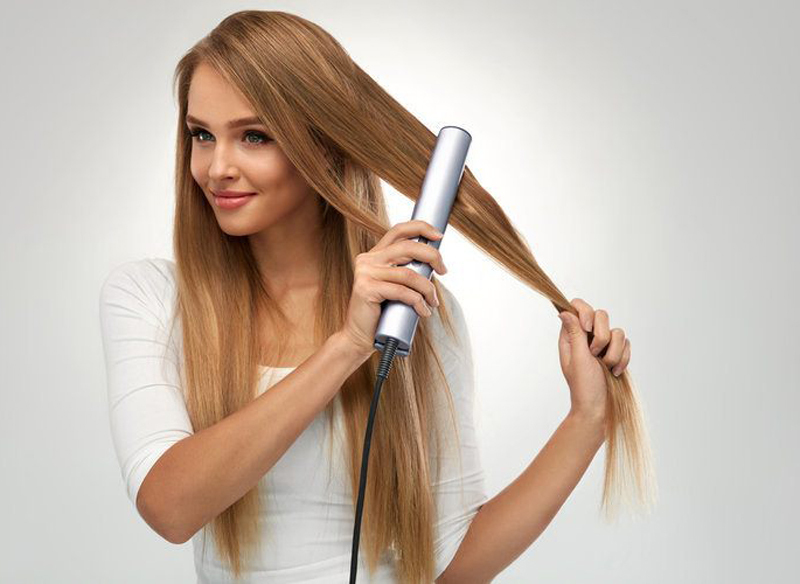 If you don't have time to wait for your hair to air dry all the way, stylist Angela Stone of AvantGirl Salon in Margate, N.J., tells The List it's best to hit it with the blow dryer first so you spend less time with the flat iron and therefore risk less damage. Confession: when I was in high school, I straightened my hair every single day. I was on the swim team, and every time I jumped in that pool my hair immediately curled right back up. So each morning before school, I'd spend time re-straightening it. As you can imagine, this made my hair look awful in the long run. My once luscious curls were dry and brittle, and the frizz was unmanageable. Assuming you're not on a swim team or getting caught in the rain every day, you can make the straight look last for a few days by skipping washes and using dry shampoo instead. If you get a dusty residue from the dry shampoo (which is totally normal! ), stylist Angela Stone says to run a blow dryer through it and you'll be good as new. Stylist Holly Munro of Art Is… Salon in Brigantine, N.J., says one of the biggest issues she sees in her salon is "broken, weak hair" that comes from putting a flat iron to over-processed hair. If you're someone who tries to keep up with Kylie Jenner's ever-changing rainbow tresses or gets straightening treatments regularly, your hair is over-processed. If your hair has heat or chemical damage, it's best to put the flat iron down and restore your hair before getting any other kinds of treatments. Turning your straightener up to the highest heat setting seems to makes sense. The hotter it is, the faster it'll do its job… right? Wrong. It's tempting to turn it all the way up to get the job done more quickly, but that'll just cause more damage. Everyone's hair is different, so there's no magic heat number. But as a general rule of thumb, "leave the temp between 300-325 for thin hair and 325-350 for thick hair," says stylist Angela Stone. Choosing the right flat iron for your hair type is intimidating when there are so many to choose from. The combinations of different sizes and finishes are seemingly endless, so it's hard to zero in on the one that's perfect for you. The most common flat irons are either tourmaline, ceramic, or titanium. The professionals at Karmin Hair Tools broke down each type: tourmaline irons are great for most hair types and are typically the least damaging. 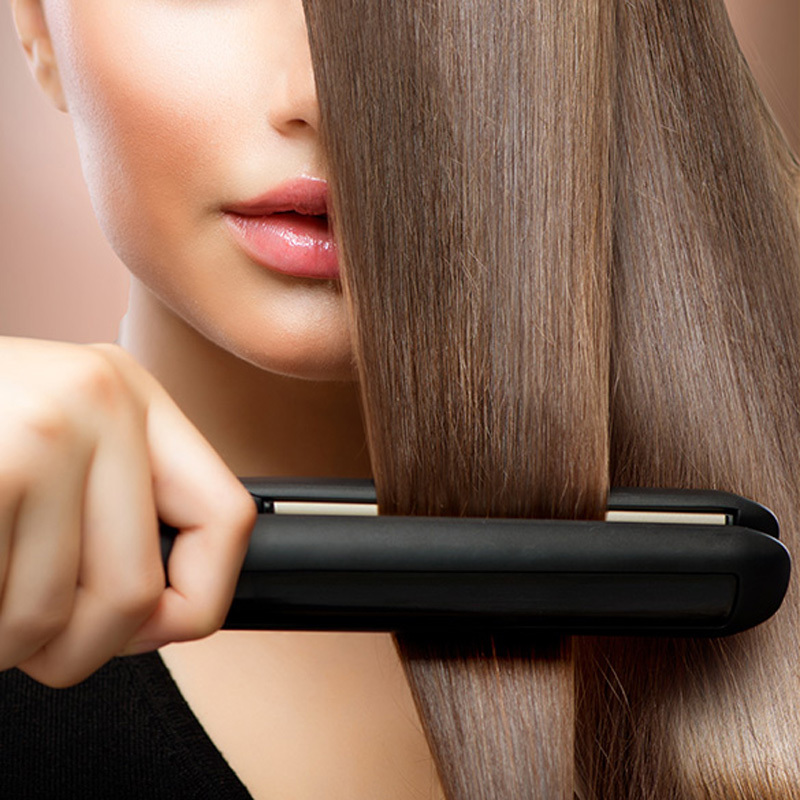 If you have thicker hair, you may want to opt for a titanium straightener. The titanium allows for "faster heat transfer, which means even more immediate and superior results, no matter the hair's condition." 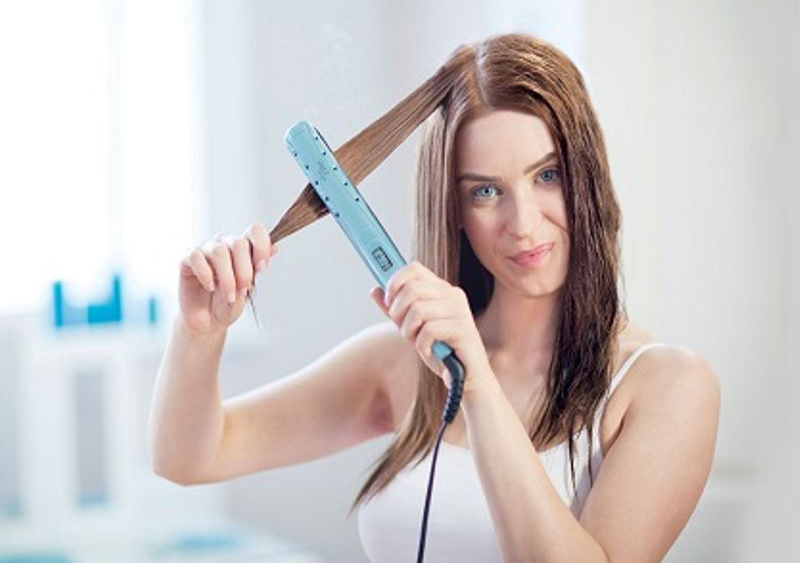 And finally, ceramic straighteners glide easily through the hair and provide quick and even heat. They're great for use on most hair types, but if your hair is already damaged it's not the best option. 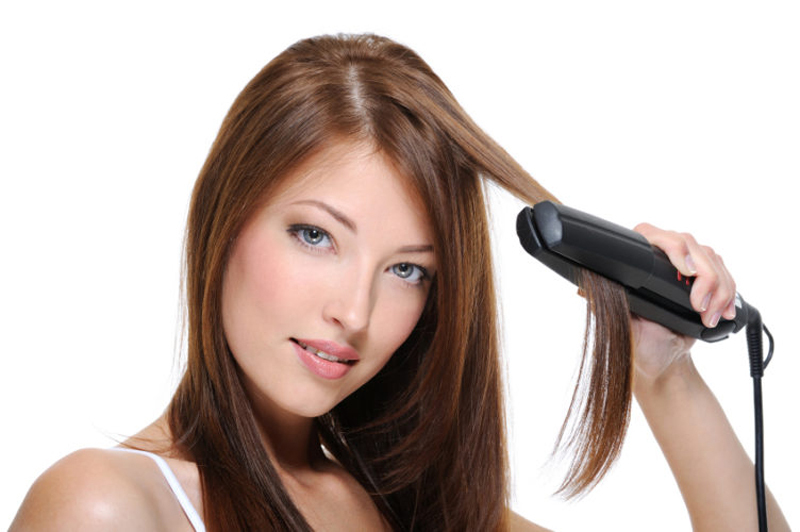 Since they provide a sleek look in a short amount of time, flat irons are a great staple in any beauty routine. However, you shouldn't rely on them too heavily. "It's much better for your hair to be blown out and to just not use a flat iron at all," says stylist Holly Munro. "It's much more difficult and time consuming, but the integrity of your hair will benefit so much." 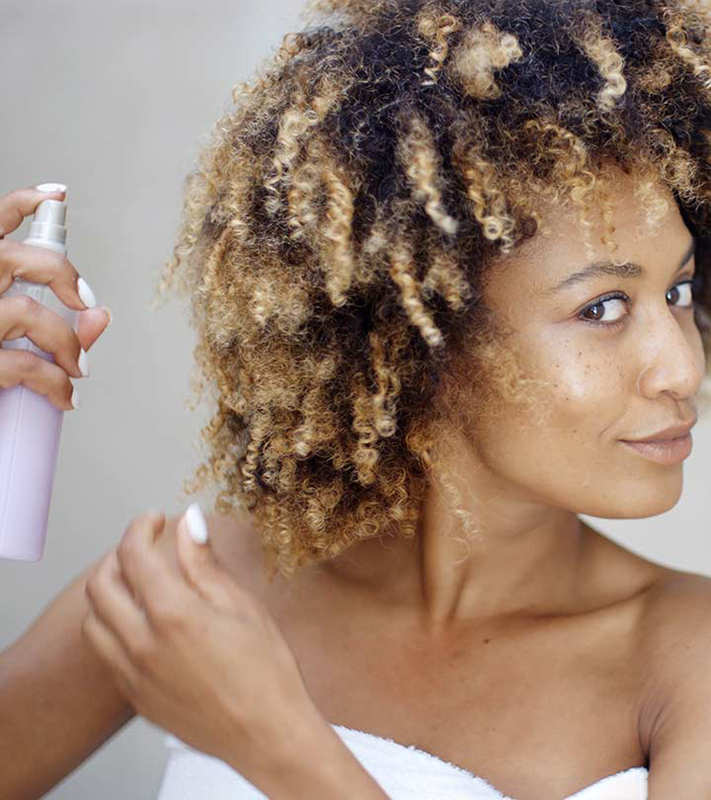 Just like you wear sunscreen to protect your skin from UV rays, you need to put a protectant over your hair when you're subjecting it to heat. "Always, always use a heat protector," urges stylist Angela Stone. "This is a girl's biggest mistake." Whether you're flat ironing or blow drying, a thermal protectant is your best friend — my favorite is Tresemme Thermal Creations Heat Tamer Spray. Just remember to let it settle into your hair before applying heat. Otherwise, it'll sizzle off under the heat. Every hairstyle starts in the shower. You could have the best straightener in the world, but if you're not using the right shampoo and conditioner it won't matter. 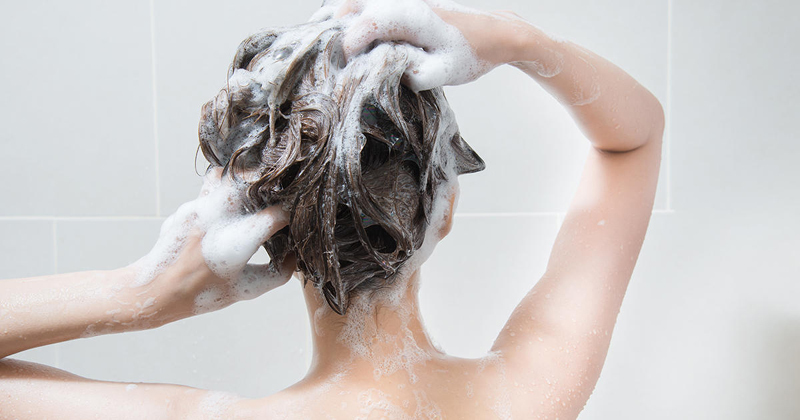 Unfortunately, a lot of hair products contain sulfates that dry out your hair. If you're straightening and blow-drying a lot, you'll want to go for sulfate-free shampoos and conditioners (I use the L'Oreal Hair Expertise line) that'll keep your locks in good, healthy shape. Anything that advertises smoothing, frizz-free components is your best bet. While flat irons make straightening relatively quick and easy, it's best to forgo them altogether and opt for a blow out instead. Regardless of the method you choose, though, make sure you're adding a thermal protectant to your hair before applying any heat. If you follow these tips, you'll get the sleek, straight look you're going for without the frizz and dead ends.